This page, and the category that will correspond with this subject area and page, is for anyone who has been the victim in any form of encounter, engagement, or relationship with or to anyone with Borderline Personality Disorder, Narcissistic Personality Disorder, Anti-Social Personality Disorder – Sociopaths and/or Psychopaths who need to recover from the many forms and consequences of abuse by people with these personality disorders. Whether you grew up in a family with one or more personality-disordered parents, and/or you have been in a toxic relationship (with someone with BPD or NPD or both) or you are or have been in a pathological love relationship (with a sociopath or psychopath) the abuse suffered in these devastating relational dynamics requires a unique type of multifaceted and complex layers of recovery. I will not only being writing much more about this here, doing Videos, have Ebooks and Audios (coming soon) for sale to help you in your recovery, but, I also do work with people in counseling and have for many years who need this abuse recovery. So many of us who need this abuse recovery from the personality disordered to the psychopath have grown up with at least one personality disordered parent or been exposed and abused by someone with a personality disorder in early childhood. More often than not, we have been born into an inter-generational toxic, pathological family system that abuses, wounds, fails to meet our developmental/emotional needs and on top of that teaches us how to take on the blame, shame, and feelings of our parent or parents, a grandparent, an aunt, several family members in a lot of cases that whether one goes on to be diagnosed with a mental illness or not, one has acquired a lot of damage that will continue to hurt you until you become more aware of the roots of what has been hurting you and how you have likely let those close to you and in relationships re-wound, re-abuse and further traumatize you. Healing and recovery are possible. A.J. Mahari has Courses to Help You Heal From Cluster B Abuse – all types, all types of relationships coming soon. In the meantime, if you would like to work in session with A.J. Mahari please click on the Sessions button in the right hand menu. There are exponentially increasing numbers of people with Borderline Personality Disorder (BPD), Narcissistic Personality Disorder (NPD), Anti-Social Personality Disorder (ASPD – Sociopathic or Psychopathic Personality) in our world today. Many are raised within these varying toxic dysfunctional family systems with one or more parents who are personality disordered. These Personality Disorders are all in the Cluster B Axis II diagnostic category in the Diagnostic Statistical Manual (DSM). Many people have these people as a parent or parents, a parent and a grandparent, friends, one or more relationship partners. It is vital that one becomes aware of what one is dealing with and what one needs to do to protect any children involved and to take care of themselves. Awareness is the juncture at which there is not more denying your pain and what you truly do know. It is the juncture at which, unfortunately, your pain will increase at first, until you learn more about what all your experience means and how to begin to unravel the trauma and abuse and find yourself or re-find yourself. It is a much clearer picture people have to grapple with to put the puzzle pieces together when they have been raised by, in relationship to or with a Narcissist or Sociopath or Psychopath. As you become or still are seeking to become much clearer, firstly, from what diagnosis (or more than one) your abuser suffers, you will also begin to benefit from or continue being able to gain clarity as to just how traumatized you have been by the abuse you suffered and why. When I work with people, coming to this awareness, it is at the point of coming to this awareness, that what is already very painful and confusing becomes even more painful for a time. That’s why it’s important to work with someone, like myself, or others who are experts in this area of what is patterned and well known abuse of the worst kind that human beings can ever be exposed to. You need help, you need to heal and recover. I can help you through that process. Borderline Personality Disorder – Is it (in more cases than not) The Same as NPD or ASPD? It is important to research more about what Cluster B now means with the DSM 5 (spelling out their previously hidden shell game of sorts). Yes, people are abused and very hurt by parents, friends, or significant others with BPD. However, consider, if this is relevant to you, what is and what has long been misrepresented as BPD and what it may mean to suffer the abuse you’ve suffered anyway but from someone with Complex PTSD and not BPD. I think that some people actually fit the newer ways in which BPD is being assessed along with NPD and ASPD on the Cluster B spectrum of the DSM 5. What I also truly believe and know from all the clients I’ve worked with in the last 20 years (along with loved ones or ex’s) who have a BPD diagnosis or think that they do fit BPD, is that there is a marked difference we now know much more about between “today’s BPD diagnosis” and that same diagnosis 10 or 20 or more years ago. Today, a diagnosis of BPD, for many, is likely highly not accurate. BPD is now being viewed very differently and as someone who works with people with BPD their are very obvious distinctions to be made between what BPD truly means now (versus past thinking about it applied to now which no longer fit). BPD today, is measured differently by the DSM criteria and process of diagnosis of Cluster B personality disorders. It implies a much more co-morbid picture than the BPD of old if I can put that way. The true “BPD of old” has never been Borderline Personality Disorder. This is why vastly high percentage of people with this inaccurate but systemically common unhelpful diagnosis have not been able to be successfully helped. 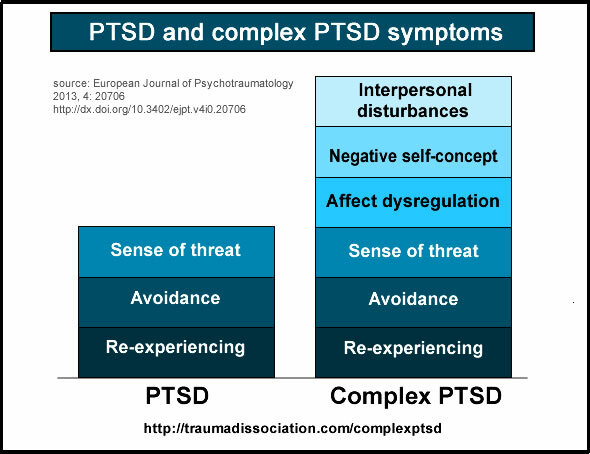 The true “BPD of Old” and even much of what is being diagnosed as BPD today is actually Complex PTSD which the DSM just refuses to include as a diagnosis. Why? Because without that made readily available for diagnosticians the conclusion of BPD is a systemically driven diagnosis from which psychiatry can then continue to claim that Big Pharma Meds are necessary (HOGWASH!!) and that the likelihood of recovery is either still believed non-existent or highly unlikely. To diagnose someone with BPD today via the DSM 5 criteria is to (whether denied or not) lump a person into the Cluster B spectrum which means either co-morbid BPD/NPD or traits and symptoms which easily cross the boundaries of the no longer truly thought of separate Cluster B personality disorders. This is why it has long since been argued for those who have no other co-morbidity along Cluster B or Axis II Borderline Personality isn’t BPD, it is Complex PTSD. In fact, there is mounting evidence that more people do not just have BPD as perhaps in the past but they more and more many diagnosed with BPD may also have co-morbid NPD or ASPD along with BPD. This is also the evidence mounting across the spectrum of cluster B Axis II disorders. This is the a large part of the reasoning of psychiatry (in particular) as to why in the DSM 5 Histrionic Personality Disorder was taken out because it overlapped so much in its symptoms with BPD and/or NPD or co-mobidly both. The DSM 5 now has a different way of diagnosing people in what can now be referred to as the Cluster B spectrum. At the heart of this diagnostic process, among other things, is an empathy rating scale the results of which are then interpreted as to where on the Cluster B spectrum (regarding specific or co-morbid diagnosis) each person being assessed best fits given presenting issues and the empathy score one gets. Whether or not Borderline Personality Disorder is actually as it has been defined for decades now, applied in a way to all with certain presenting symptoms or traits (mainly women) – men presenting with the similar of the same symptoms or traits are often diagnosed with Narcissistic Personality Disorder. Has this older way of trying to diagnose BPD in so many missed the very likely possibility that more people than not diagnosed with BPD really have Complex PTSD. This is important because what we are seeing now, being recognized by more professionals who work with those with (“so-called BPD”) are not presenting with the same core issues, traits or symptoms as perhaps was the case 10 to 20 years ago or more. Now, many who truly fit BPD versus the more who would be better served to have identified that they in fact have Complex PSTD, are more often than not best described by the ways in which they cross the Cluster B spectrum or have traits in all 3 (remaining personality disorders) cluster B personality disorders. While still being argued over and remaining controversial among many professionals, I for one, (and there are many) think it would be much more helpful and appropriate to seriously look at this distinction between what BPD more actually means and is now (maybe always was?) and Complex PTSD. What I am getting at here is that those diagnosed accurately with BPD now using the very different assessment tools and measures of the DSM 5 do not have what we commonly or most people commonly understood BPD to be. BPD diagnosed now is a part of a mixed bag on the Cluster B spectrum in which traits from two or all three personality disorders over-lap a great deal. Whereas if more assessing and diagnosing of potential BPD would also include testing for Complex PTSD to rule it out first, I think more people would end up with Complex PTSD, being better understood, receiving better treatment, and not suffering the incredible stigma, especially in Mental Health circles, let alone the public and media. Why is it that the DSM continues to not include Complex PTSD as a diagnosis? What is the bias of psychiatry here that is a gross disservice to it patients? To be diagnosed with or recognized as having Complex Post Traumatic Stress Disorder (PTSD) which is also referred to as “complex trauma”. This trauma results from multiple traumatic events occurring over a period of time. One example of this is multiple incidents of child abuse, and even more so childhood sexual abuse. This image above is from the website marked at the bottom of the image. Permission granted to use as long as sourced. © A.J. Mahari, February 27, 2016, unless denoted as copyright of others.